A new EP consisting only in halling tunes, for all our crazy dancers who got so enthusiastic about this norwegian dance ! It's really for you that, one dark day of december in Pascal's kitchen (seems like lots of Knep stuff happen in kitchens), we decided to record in secret this little album... and to release it at Balfolk Dansstage 2018 as a surprise ! 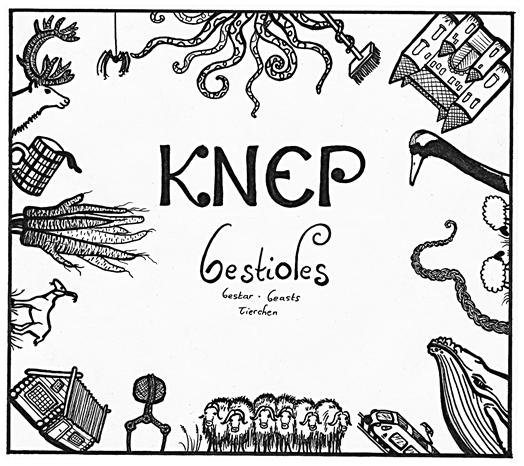 KNEP's first album, with many different tunes and arrangements to listen and dance to ! Here are several scandinavian dances such as polskas but also many continental balfolk pieces (cercle circassien, mazurka, etc.). The music navigates between energetic crazy tunes to more melancholic or soft pieces. Pascal and Emelie both gave several own compositions to this album ; some tunes are also traditionals from Sweden and other countries. Here is a review of 'Bestioles' by Cliff de Booy for the CeltCast radio ! 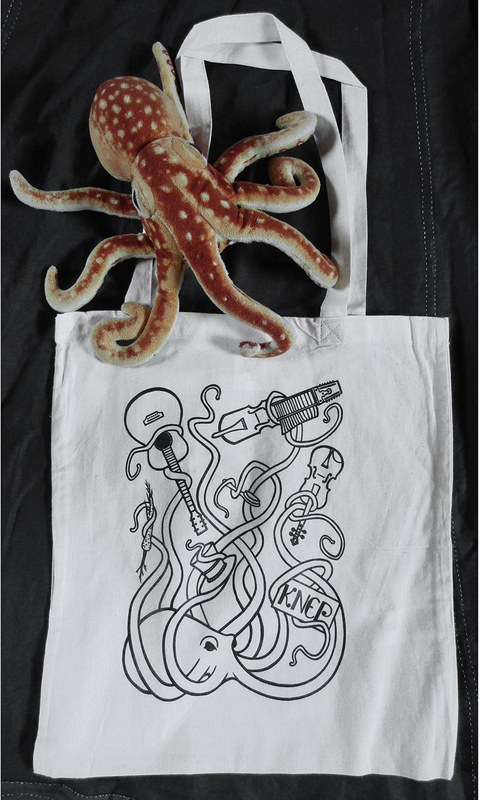 Show your love for octopi (and for Knep, why not) by putting your danceshoes, pullovers and chocolate into this practical , funny and solid totebag ! The bag is printed black and white to allow you to unleash your creativity and decorate it as you want ! Also, if you ask nicely, Emelie might give your bag a personalized design, as she did to hers (shown on the pic below). If you live outside Europe don't be afraid to contact us anyways and we'll find a way ! Get 'Bestioles' in a shop ! 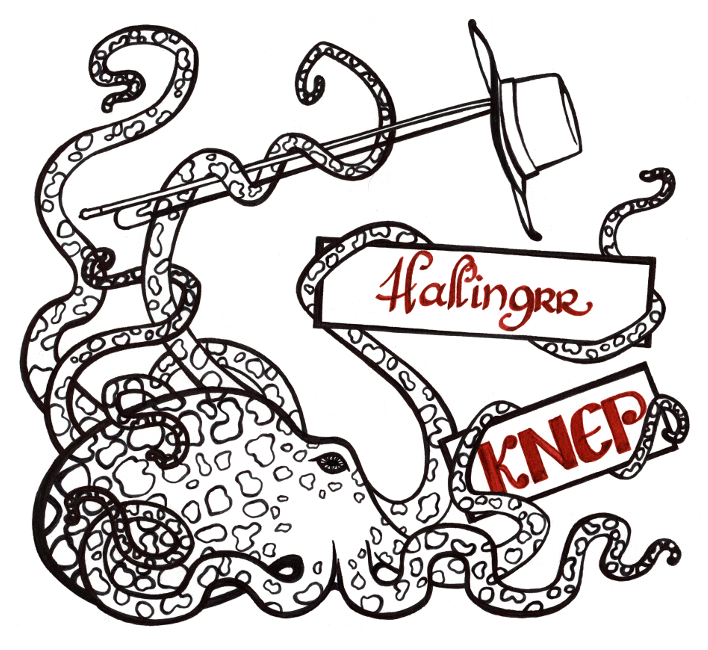 As KNEP is a very small band, our CDs and bags are not available in usual online music shops nor on Spotify & others. So if you want to get our stuff, you'll have to write us an email (how scary !). You can choose yourself who to write to ! For bags, better to contact Emelie. Pour commander en français, contactez de préférence Emelie. Um auf Deutsch zu bestellen, bitte schreiben Sie am liebsten Pascal.